The best way to get to know a community is by scheduling a tour. See the facilities, meet the staff and residents, and get a feel first hand what it's like to live at Commonwealth Senior Living at The Ballentine Assisted Living. Welcome to Commonwealth Senior Living at the Ballentine, a premier senior living community in Norfolk that is managed by Commonwealth Senior Living. With a rich tradition of serving seniors since 1896, The Ballentine is an award-winning and leading community for seniors in the region. Centrally located in Norfolk, our community is close to healthcare facilities, shopping, dining and more. Commonwealth Senior Living at the Ballentine provides comprehensive services for residents in a caring and home-like atmosphere that ensures they maintain a quality lifestyle. Our community boasts a variety of amenities to ensure our residents are comfortable, happy and healthy. Among our residents' favorite features are the solariums, library and cozy fireplace in the lobby. For active residents, our full-time activities director coordinates daily activities, trips and social programs. Residents enjoy suites and companion rooms with private baths. With no entrance fees, enjoying life at Commonwealth Senior Living at the Ballentine is an affordable option. We believe in personal and dignified care which is why team members are on-site 24 hours a day and we develop an individualized care plan for each resident. We understand that everyone has unique needs and we tailor services to our residents, such as medication management and weekly housekeeping and linen service. The attentive and experienced caregivers provide compassionate care to residents who have all the comforts of home and maintenance-free living surrounded by friends and neighbors! Our residents quickly become like family. With a variety of living options, you'll be sure to feel right at home. 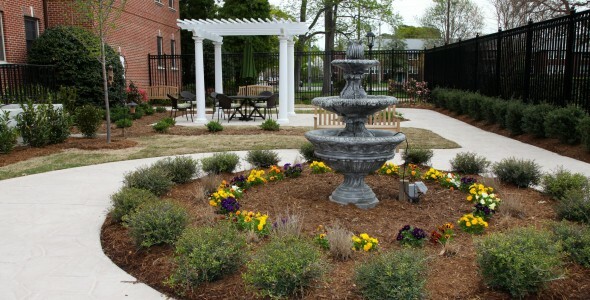 Explore Commonwealth Senior Living at the Ballentine further and schedule a tour today.